Find the right tour for you through Bran. We've got 106 tours going to Bran, starting from just 3 days in length, and the longest tour is 76 days. The most popular month to go is September, which has the most number of tour departures. "I will remember this trip forever. 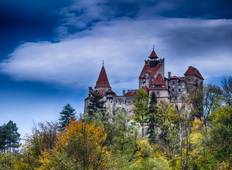 Partly because of the wild beauty of the Transylvanian..."
"George was not my guide. 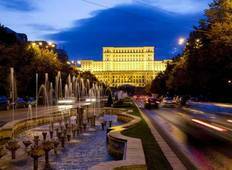 Vlad Ilie was the guide and he was excellent - the only..."
"Excellent tour! Highly recommend! Our guide was very knowledgeable and friendly." "Who doesn't want to see Dracula's land, Transylvania ?! Amazing tour, very informative..."
"I was more impressed by Poenari fortress than by Bran Castle, even though I climbed..."
"A fantastically well organised tour in a very clean modern and comfortable mini bus...."
"The landscapes were amazing, Romania has for sure something very wild and mysterious..."